5 Stars for By Light Betrayed! 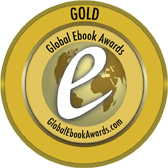 By Light Betrayed – Poetry of the Vampires has received a 5 Star rating by Readers’ Favorite International Book Awards! I’m so very pleased and I wanted to share with you. This is the first step in the preliminaries for awards. Only four and five star winners will be eligible for awards, so I’m in! By Light Betrayed: Poetry of the Vampires by Sherry Rentschler is both a distinctive and interesting read. There are over thirty poems featuring haunting and melancholy vampire themes. For example, in the poem Crossing the Line, it reads: “Sunlight teases behind the tomb. Dandelions wilt against the concrete. I dance on sidewalk shadows, death between the lines.” And in the poem Royal Street, the author states: “Time is for memories, frayed recollections, fraught with our chaos and short on regret. We are the remnants of innocent wishes lost in the pavement, too sharp to forget.” The author does a good job keeping each poem distinct and includes various color pictures (mostly graveyards and such) to accompany the poems. First off, the cover for By Light Betrayed: Poetry of the Vampires is superb (both alluring and haunting) and really sets the tone for the book. I typically do not read very much in the poetry genre, but I did enjoy reading this book. The flow was nice and I liked how it included pictures to go along with the text. The empty graveyard scenes went well with the atmosphere and narrative of the poems. I felt the author focused on the dark, struggling, wandering and mysterious aspects of vampires (and not the sparkling, angst-ridden kind). You can tell through the poems that the author is really a fan of vampires and understands all of the myths and popularity that goes along with them. I think the book would appeal to fans of both vampires and poetry. If you were wondering if you should give the book a try, I hope this might encourage you. 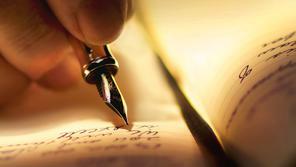 Thank you to Readers’ Favorite for their generous comments. Feel free to see the review and leave comments (via Facebook or the site) from the page. Thank you. Honorable Mention for Paper Bones! Previously Paper Bones was a Finalist in the Readers’ Favorite International Book Awards. Six finalists were chosen in the General Poetry category from 1900 entries. I could not have been prouder of this achievement! Then we waited for the final judging to take place and the announcement of the award-winners. That announcement came on Sept 1. I am pleased to tell you that Paper Bones is the Honorable Mention award winner! A gold, silver, bronze, and honorable mention awards were announced. The other two finalists in the category will remain as finalists (which is an award in itself, by the way). Again, I’m proud but humbled at the success of Paper Bones. I hope these accolades will nudge some of you to give the book a try! If you haven’t browsed around my newly designed blog, please check out the weeded, and great improved, set of Links. The writers, artists, and authors I’ve listed are fun and immensely talented. Plus, links open in new windows, so you don’t have to leave here. Then pop up above for a sneak peek at new work before you cruise over to the Books tab and click to make a purchase if so inclined. I appreciate your support (and part of all purchases to I Wish You Joy goes to the American Heart Association). Finally, look for a BIG surprise next week! That’s your cliffhanger. Now go and spread the word. Someone’s coming…. As always, I remain, yours between the lines! I want to begin with Thanks. The Goodreads Giveaway was a success and I thank all 630 people who entered! I am humbled by so many interested parties. The winners were chosen and are from Florida, Texas and Minnesota. I’m mailing your books on Saturday! The other great part about the giveaway is that I gained a lot of folks who added me to their “to read” list – over 250! That’s just amazing. Overall, the giveaway experience was wonderful. I plan to add my name to others’ giveaways and see if I can’t win an autographed book or two myself! I found out Monday that Paper Bones is a 2014 Readers’ Favorite International Book Award Finalist! Out of 1900 books of poetry, I am one of only 6 finalists! That’s just fantastic! From the finalists, winners will be judged, based on possible scores. They give out gold/silver/bronze and honorable mentions. It all depends on the overall score I receive whether I win a medal or not. But I’m honored to have done so well! I hear tell that there is a HUGE award ceremony in Miami in November that coincides with the big Miami International Book Fair. I’m told that Finalists are recognized, so no matter what happens, I plan on going. I just can’t believe it. So there you go. Its a good day all around! Here’s the sticker for the Finalists! Don’t forget I’m on Goodreads, Twitter, Pinterest and LinkedIn too! I haven’t forgotten my promise to you. Changes ARE coming. Soon now. I don’t want to move the furniture until I’m absolutely certain. You can sign up for notices and then you won’t miss out when it happens. More delightful news to share with you! Today I found out that I received a Reader’s Favorite 5 Star Review on Paper Bones!!! I am so proud, honored and humbled. Okay, dang it, I cried too. Big croc tears of joy. 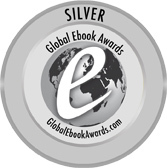 So now in addition to the NIEA Finalist stickers, I will have beautiful silver 5 Star review stickers for my books. I’ll show you what it looks like after both stickers are affixed. That way if you get stickers from me, you’ll know where I’m placing them. Alright everyone, let’s do some happy dancing!! 5 Stars for Paper Bones! A very happy good morning to all of you! Take a big drink of that coffee because I have a delightful announcement. 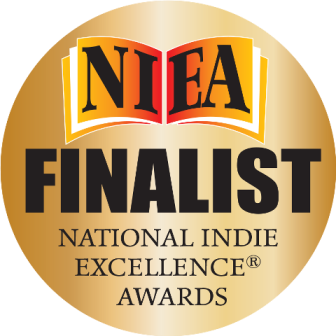 in the 2014 National Indie Excellence Awards! This prestigious honor means so much. I am going to do some happy dancing for a little while. So, this is me, your award-winning author, saying thank you so much for your continued support. I am very, very grateful. Celebrate with me! Wheeee!